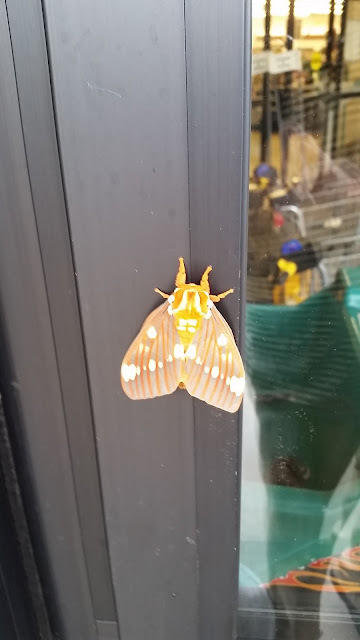 Lucky to see this night creature on the entry door to our local grocery here in North Carolina one early AM. Wonderful color and markings. If you are interested, google the caterpillar stage. It is one weird looking character...This one was about 3" x 3". It looked fake.